The thought process which leads to selection of a specific course of action while weighing other possibilities is termed as decision making. 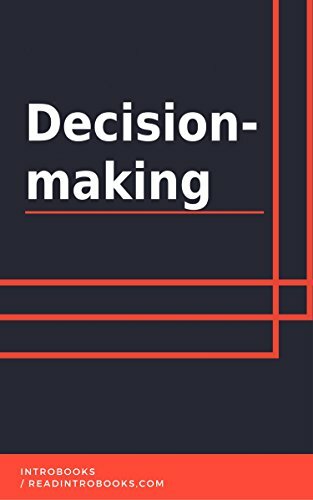 Decision making results in a concluding choice –the person taking the decision should be aware of the result for each decision taken to ensure that the choice made for the specific situation is not wrong. Selection made on the basis of alternatives that are based on preferences, beliefs or deductions of the decision maker is known as decision making.The decision maker tries to weigh all the options and pick the best one as a final option. Mostly deciding on things can be easy but people encounter several phases in life where they need to decide on important matters such as studies, job, marriage, investments, business etc. The decision taken for important matters as these will impact their lives in future. This is why people consider all the pros and cons before taking a decision so they may not have to regret about it later.